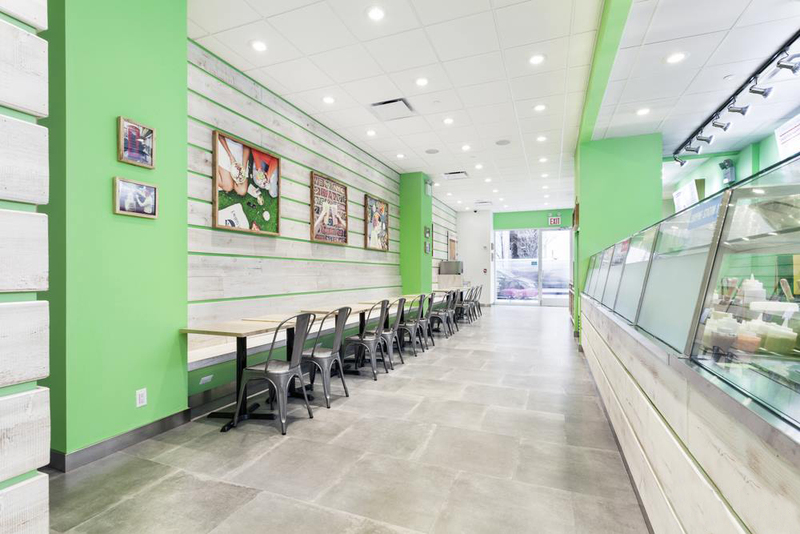 Just Salad is a quick and healthy restaurant chain with multiple locations in NYC, Chicago and Dubai. In this Design/Build Project we used an integrated project delivery approach to meet the client’s desired aesthetic while optimizing the maximum use of space. We provided Design and Construction Management Services, which allowed us to complete the project on time, and on budget. The Project features eco-friendly approach in bringing forward a sleek, modern design to enhance its positioning on fresh, local ingredients and sustainable aspects such as smart-heating, energy-efficient lighting, brand new built-in millwork, custom designed lime green walls complemented by reusable orange containers prominently at the start of the service line.